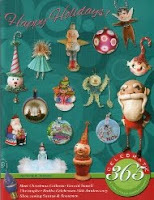 All of the Christmas decorations are down and put away for another year. I am going through the photos and will be putting a few posts together of 2014's Christmas decorations. Life is getting back to normal. 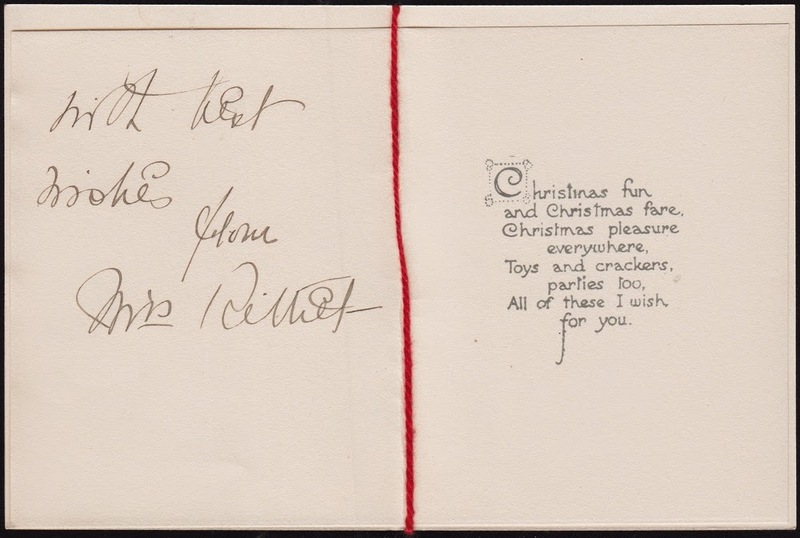 When I was getting the New Year's postcards together ready to scan I came across two antique Christmas cards that were the inspiration for "ilexander". I'll show him at the end of this post. You can have a look at the New Year's card and postcard blog posts here, here, and here. 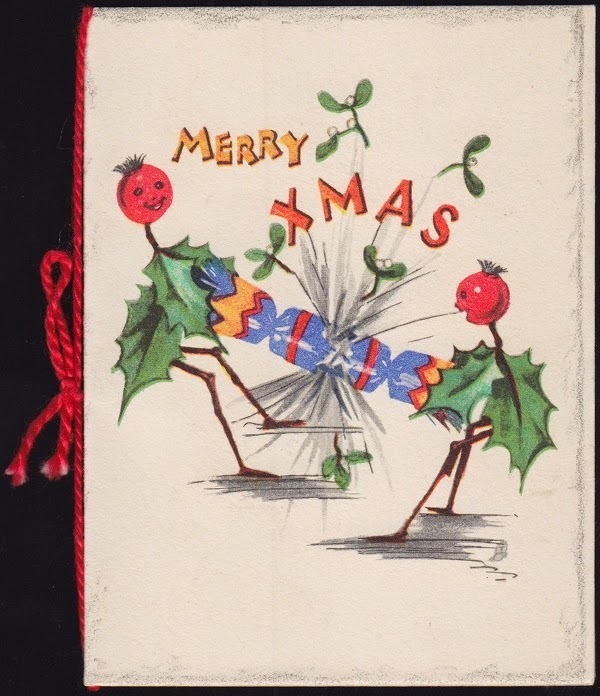 I love this silly image of the holly berry guys popping a Christmas cracker. 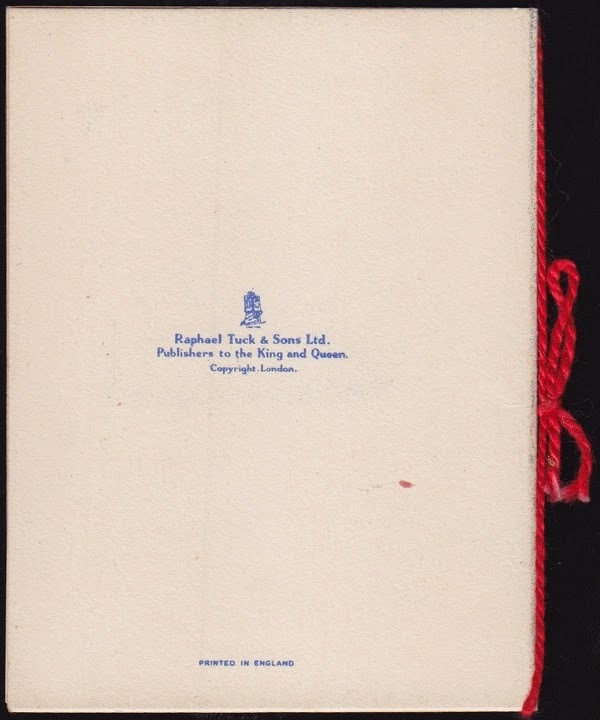 Raphael Tuck & Sons Ltd.
Publishers to the King and Queen. I had no idea that I owned a Raphael Tuck card. This is another antique card that unfortunately has no information on it as to where it was printed but it does look English. I had not looked at these two cards for many years and was very surprised that they were quite different from what I remembered. Here is "ilexander" my candy container sculpture that grew out of the two cards. His head is definitely inspired by the first card. 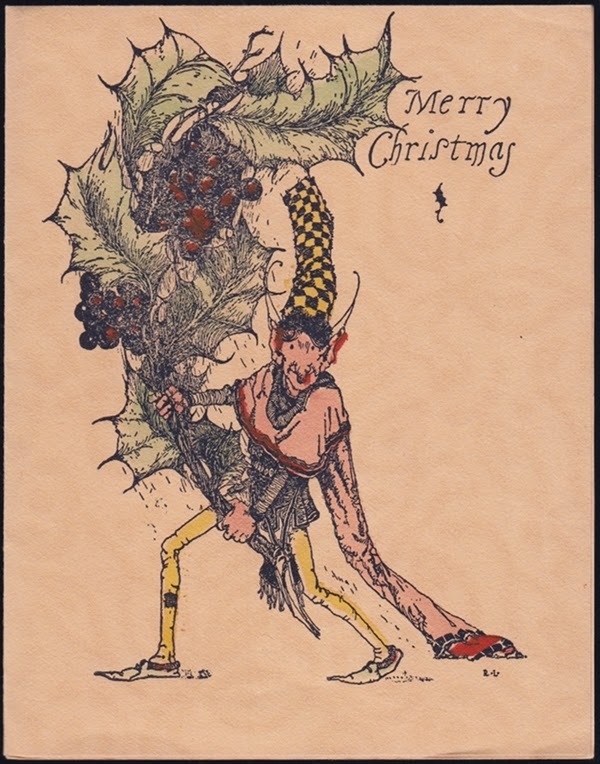 The second card inspired the holly staff and if you look at that card you will realize that the large holly leaves that little guy is carrying as well as his long pointed ears inspired the holly leaves at the base of his head. 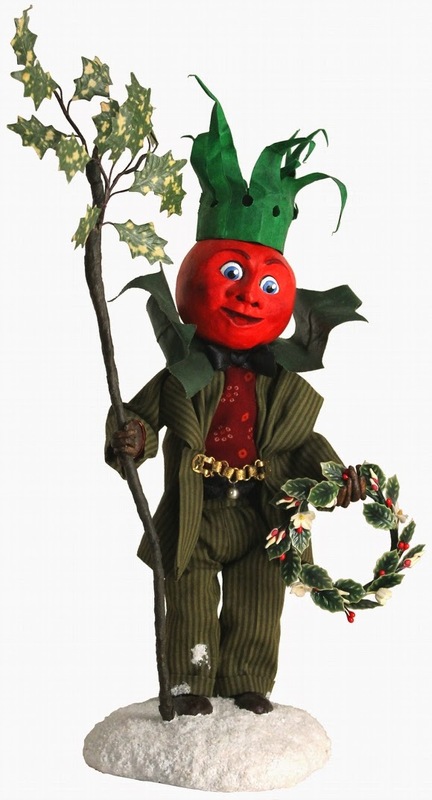 The leaves were definitely needed to show that he was a holly berry but they also create a collar for his jacket. I had not looked at either of the Christmas cards for at least five years before or during the creation process; the two images morphed into one image in my mind and then evolved into the finished sculpture. I love the creation process! Go to my Etsy shop to purchase ilexander, there are other views of him as well. The Ehag Emporium is open! Don't forget the EHAG Emporium.